Airtight fermenting vats in plastic, with tap and bubbler, airtight fermentation or transport and storage vats. 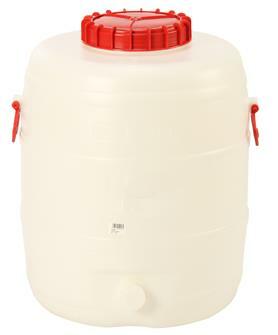 30 litre plastic fermentation vat. Comes with a tap and bubbler. 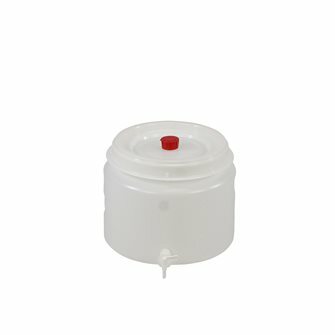 60 litre plastic fermentation vat. Comes with a tap and bubbler. 120 litre plastic fermentation vat. Comes with a tap and bubbler. 210 litre plastic fermentation vat. Comes with a tap and bubbler. 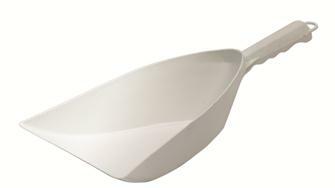 Large must scoop in high density polyethylene. 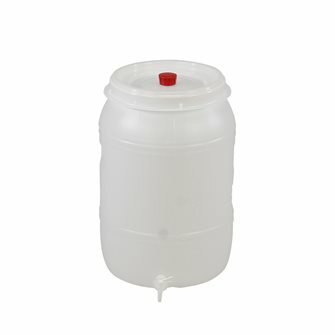 Water and airtight food barrel 30 litres in food grade plastic. Ø of opening 23 cm. 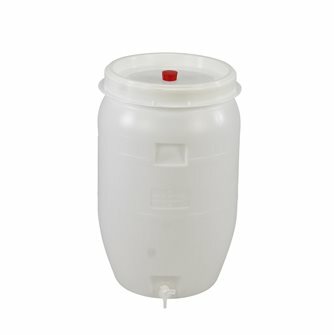 Water and airtight food barrel 60 litres in food grade plastic. Ø of opening 30 cm. 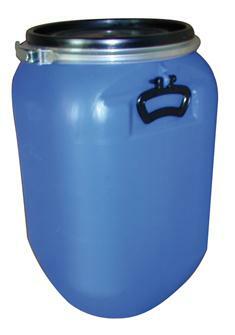 Water and airtight food barrel 120 litres in food grade plastic. Ø of opening 38 cm. 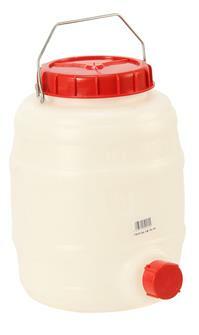 Fermentation vat 50 l. imitation standing barrel in injection moulded plastic with a tap and bubbler. 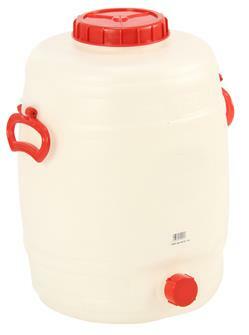 Fermentation barrel 30 litres, imitation lying barrel in injection moulded plastic with a tap and bubbler. 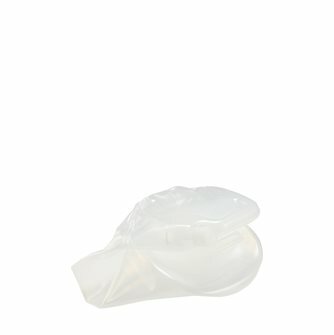 Highly resistant to compression, shocks, UV rays and frost. 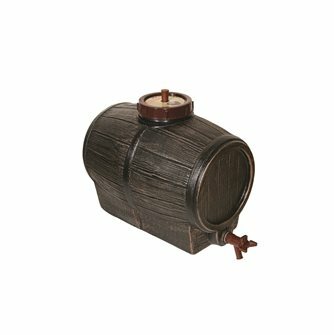 Fermentation barrel 50 litres, imitation lying barrel in injection moulded plastic with a tap and bubbler. 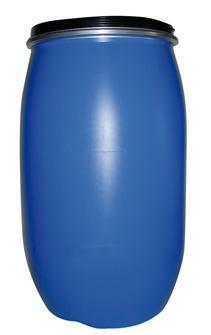 Fermentation barrel 100 litres, imitation lying barrel in injection moulded plastic with a tap and bubbler. 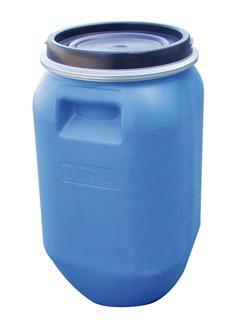 25 litre watertight food can for protecting and preserving any foodstuffs from air, water, damp or insects. 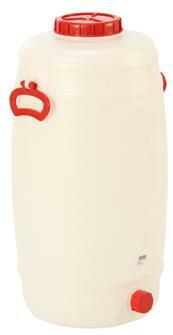 15 litre soft and foldable flask. 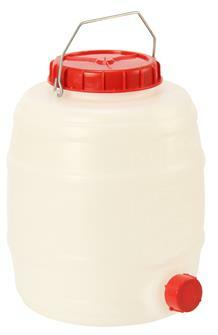 Highly resistant, it is suitable for transporting all potable liquids. 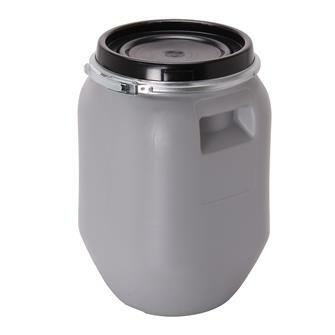 Watertight food grade keg with 220 litre capacity in food grade plastic. Diameter of the opening - 46 cm. 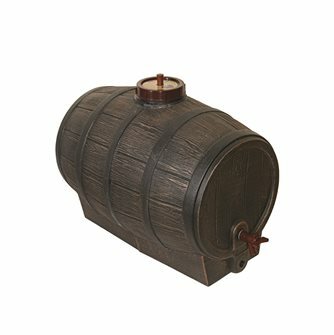 10 litre cylindrical food grade keg. Can also be used as a fermenting vat. 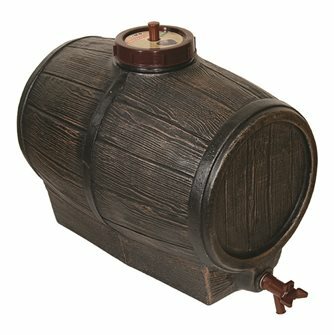 15 litre cylindrical food grade keg. Can also be used as a fermenting vat. 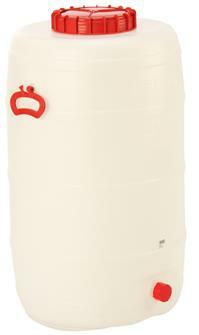 30 litre cylindrical food grade keg. Can also be used as a fermenting vat. 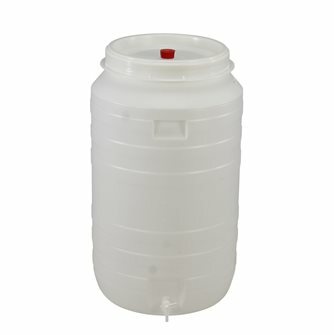 50 litre cylindrical food grade keg. Can also be used as a fermenting vat. 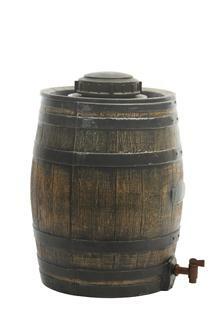 80 litre cylindrical food grade keg. Can also be used as a fermenting vat. 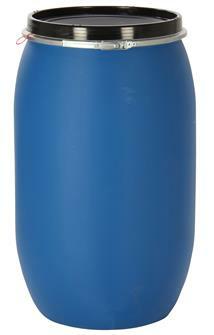 120 litre cylindrical food grade keg. Can also be used as a fermenting vat. 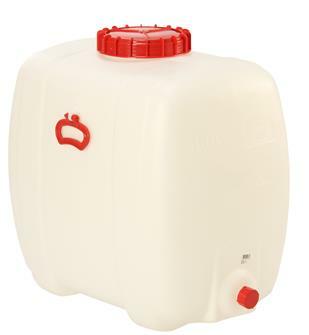 Rectangular 60 litre food vat. A tap can be added to transform it into a fermenting vat. 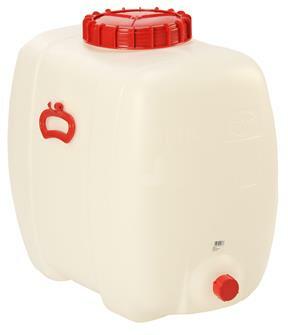 Rectangular 100 litre food vat. A tap can be added to transform it into a fermenting vat. 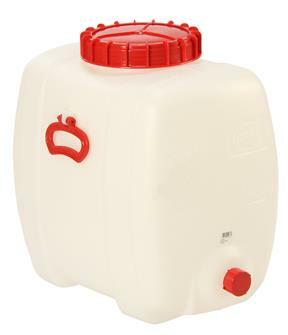 Rectangular 150 litre food vat. A tap can be added to transform it into a fermenting vat.